ArenaNet have seen “consistent and strong performance” through their in-game gem sales, particularly in comparison to the money they made through sales of boxed copies. Strong numbers in that department spells a good future for the life of the no-sub MMO Guild Wars 2. 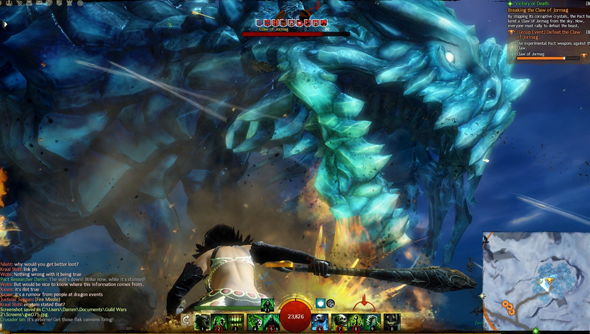 It was vital for the company’s in-game transaction model to be successful for the continued development of Guild Wars 2 because, despite initial sales being extremely strong – strong enough for ArenaNet to pull the game from shelves, they needed continued revenue to fund development teams producing new content for the game post-launch. This earnings call suggests that they’ve managed to do just that. Additional reporting by Jeremy Peel.